We already knew, of course, but now it has been officially confirmed. Rompa is in excellent financial health. 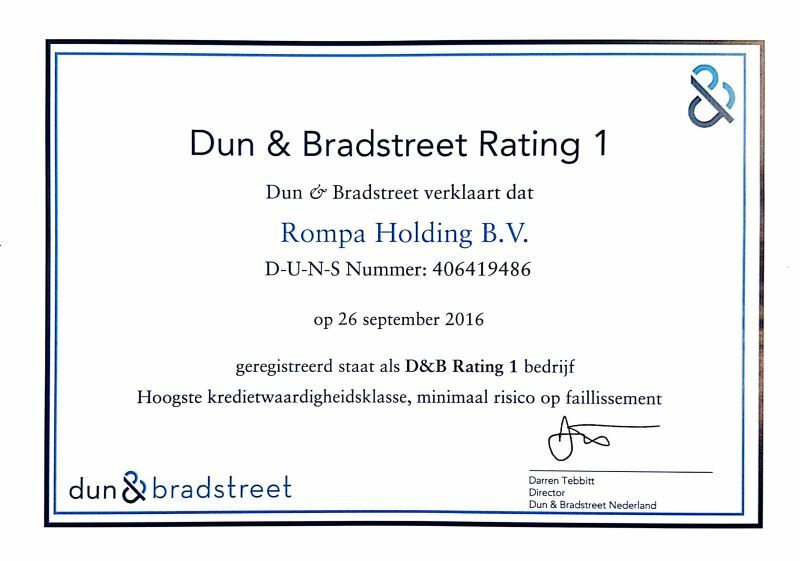 We recently received a number 1 rating from credit-rating agency Dun & Bradstreet. This means that we are in the highest credit-rating class with a minimal risk of bankruptcy. 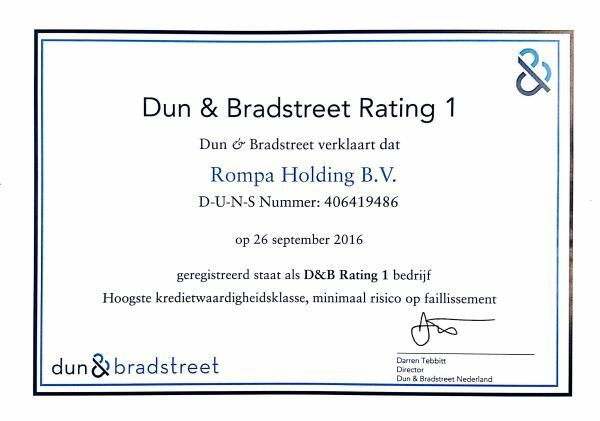 This is good news for our customers and suppliers, because they know that doing business with Rompa means doing business with a strong and stable partner. And that’s been true for the past 135 years! Throughout our existence, we have practiced balanced financial management. This allows us to make investments, continue to grow and realise our ambitions.